A few outlets in Vancouver I’d heard pretty good things about the casual eatery The Flying Pig. Housed in a very interesting outfitted building it was refined chic meets cabin bar with a heavy amount of exposed brick had a short and sweet that had food to match the ambience. 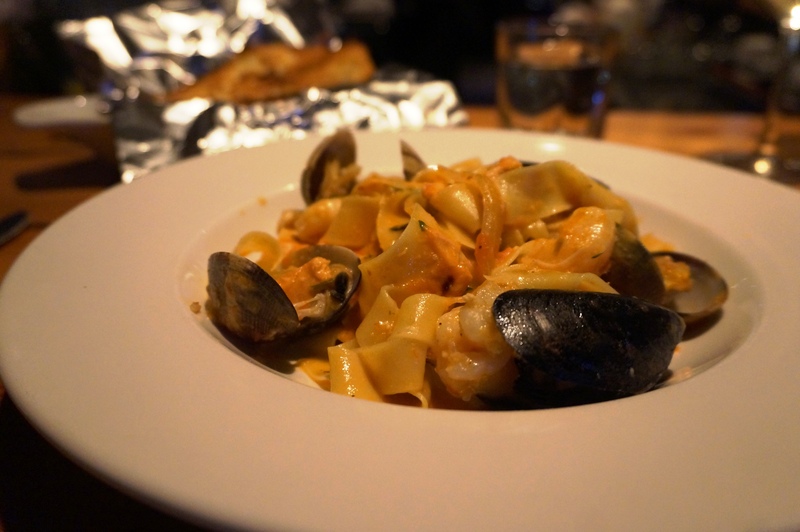 I ordered the seafood pappardelle and their cheesy bone marrow bread, I well-rounded meal if I don’t say so myself. 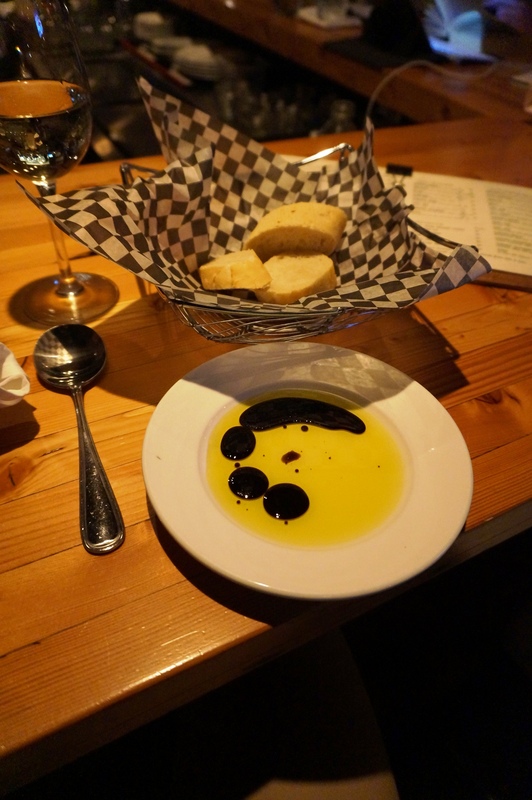 They started me off with the usual bread at the table and it was quite good; I was pleased with quality of bread; the oil and vinegar however were cheap and it was noticeable, which lowered the overall satisfaction. Uncharacteristically the pasta came out before the cheesy bread; not wanting it to get cold I started, the pasta cooked to al dente perfection with the freshly cooked seafood harmoniously matching with the creamy rose like sauce with just enough spice to be flavourful but not enough to overpower the cream and seafood. 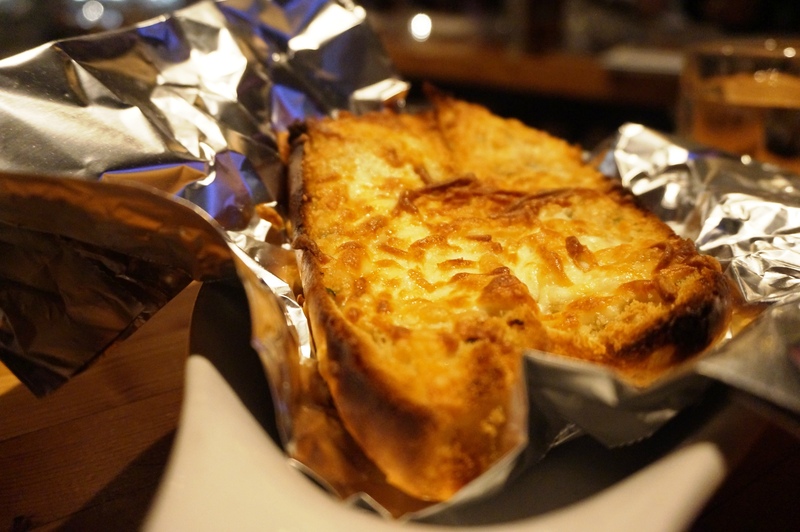 When the bread finally arrived it was very, very cheesy and oily, that I expected, I did not expect however that there was little to no marrow on the bread, and believe me I looked, smelled and tasted it all to find some. While the bread was a cheesy awful mess the pasta was a magnificent dish. Posted on January 7, 2016 by AdrielPosted in Canada, SteakLESS, VancouverTagged bread, Pasta, Seafood, vancouver.